Fisticuffs were always a perfect subject for video games. However how to properly deliver the experience was a technical challenge due to limited technology the 80’s, with previous efforts opting for a side or top view of the in-ring action. Nintendo tackled this issue in Punch-Out!! by allowing players to control their pugilist from a third-person perspective with a cleverly designed wireframe torso enabling a better view of your opponent across the screen. The controls are clean and simple to pick up: ‘A’ delivers a right-hand hook while ‘Y’ does the same for your left hand. Holding 'down' while pressing either button will deliver a body blow instead of going for the face. Pressing 'up' will raise your guard to protect your face and you can weave left and right by pressing either direction. Hit your adversary enough times while not getting hit yourself and you'll fill up the bar on top of the ring screen - you'll then be able to unlock the ‘X’ button, delivering devastating uppercuts that are the fastest way to bring your opponent to the mat. While some of weaker opponents might stay down after the first knock down, to win most of the times you will need to make them fall three times. Of course, your adversaries can take you out the same way. You will feel right at home if you ever played any other game of the series. Even in this first entry in the franchise, it is actually your unique and ‘bigger than life’ opponents that steal the spotlight. On your way to becoming 'World Video Boxing Champion' you will face Glass Joe, Piston Hurricane, Bald Bull, Kid Quick, Pizza Pasta and the current champion Mr. Sandman. Each is a sort of ‘puzzle’ you need to ‘solve’ by paying attention to their moves and their ‘tells’ (during the initial loop, the eyes flash yellow when they are about to attack) and acting to block or counter the best way you deem fit. If you are familiar with some of those names, know that the strategies you picked up from other games will work here. You can still take down Glass Joe blindfolded and with one hand only while a perfectly timed gut punch at the charging Bald Bull will send him down to an immediate knock down. It might be a shorter roster than future entries, but the same trademark satisfying learning experience is still present. Graphics were state of the art by 1983 standards with big, detailed sprites bringing your opponents to life and there was even space left to hide Donkey Kong inside the audience. The music is mostly made up of earworm-friendly jingles composed by newcomer Koji Kondo, already taking the first steps to become one of the world’s biggest renowned video game composers of today. Most impressive of all is the constant speech. Every match is narrated by a synthesised narrator whose colour commentary successfully manages to elevate the on-screen action to new heights and remains an impressive feat. The original arcade used a unique layout that stacked two monitors on top of each other. 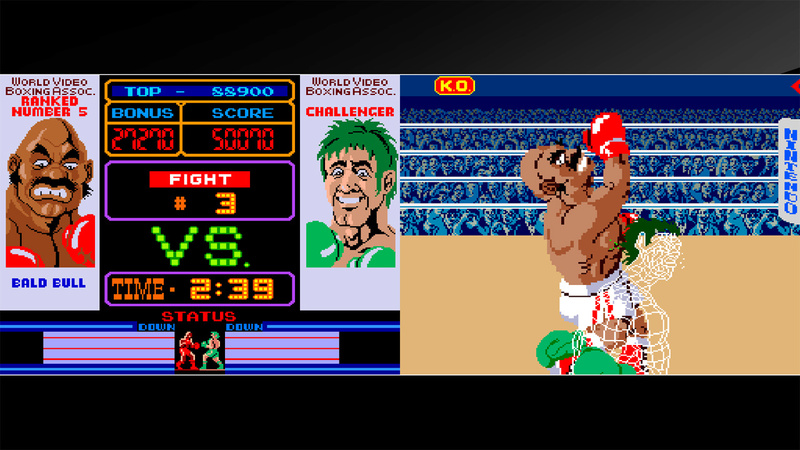 The top one shows character portraits, round and time information along with the player’s score while the proper boxing action happens on the bottom one. HAMSTER solved this layout issued by simply putting the monitors side-by-side if you are playing in regular 16:9 landscape mode. It might take a little time to adjust to just having to keep up with one half the screen, but it is the only solution to properly emulate this one without resorting to having two very tiny screens on top of each other. You can, however, chose to play this in TATE mode, rotating either your Switch in portable mode or your TV/monitor to an upright position in order to get as close as possible to the real 1984 experience. Like other HAMSTER releases the emulation wrapper gives you the chance to customize your experience, providing access to DIP switch settings and optional screen filters. When you are done playing by your lonesome you can test your video boxing skills against the world with the ever popular ‘Caravan mode’ and challenge the online leaderboards. Punch-Out!! 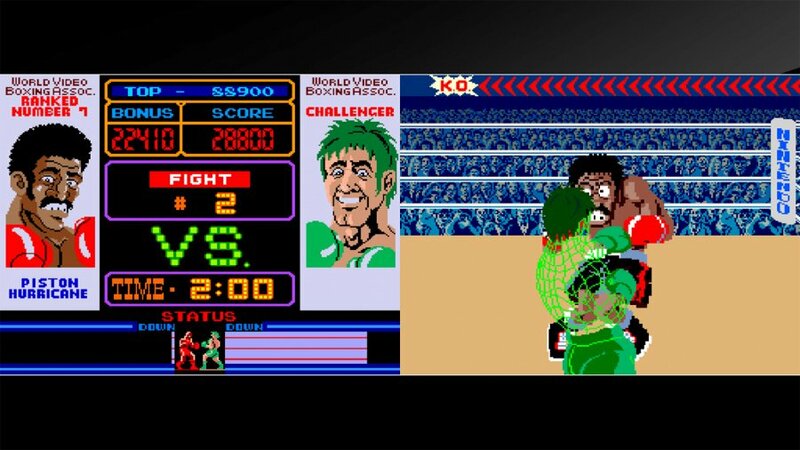 is not only a nostalgic slice of Nintendo’s arcade history, it just so happens to be one of the most enjoyable boxing games ever made, laying down the entire foundation not only for the whole series but for several other games adopting the ‘behind the boxer’ viewpoint. Over three decades later, it is still a joy to pick up and play, still proving to be extremely rewarding when you finally figure out your opponent's ‘tell’ and proceed to take them to the floor. Until Pato Box steps in the ring, there is no other boxing alternative on the system and despite being content wise lacking when set side-by-side with later entries in the series, the core gameplay loop still delivers the goods. Short, sweet and straight to the point, just like Mr. Sandman’s right uppercut. With the limited number of fighters I just can't seem to pull the trigger on $8. I'll wait for a sale. I bought this if only for the historical value it holds! I can't believe it was made in 1984! @Drac_Mazoku 1983 release in Japan. I'm pretty pleased with this game. I'll always love the home console version but this game's graphics are pretty great compared to what I'm used to for games of that time. And the wire frame Little Mack is pretty cool. Very 80's, I love it. I’ve been looking forward to this! I think I might give the game a try in the future, not now though. Always preferred the NES one. 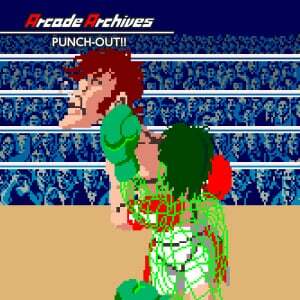 I love Punch Out games so I will pick it up later. @sinalefa Ops! How dare I misprint that! Thanks. Nice review, think I’m gonna go in on this one! What does the B button do? Is it the same as Y? Wow, this takes me back... to trying this out on MAME before they got the sound and video emulation down correctly. But I enjoyed it then, and I might pick this up because of it. @AG_Awesome You can customize the buttons so that B is left, for example, if you're wondering. Having so much spoken word audio in a videogame was almost unheard of back in 1984. This game is as classic as it gets~ "Knockout!" loving this game. can someone explain why i only get one continue? after I die a second time, it only lets me start a new game. @Spoony_Tech SOOO cheap. Back in the day, I'd drop a few bucks, at the machine, lose, and walk away. Now, we get to keep it. It's a great deal. This game is a 10/10 for me. This is one of those I played every single time I went to the arcade. I even own some of the original marketing material you guys have shown in the preview article. It’s just a superb game. Pato Box looks amazing! I'm waiting for that game. When do they release the next one? Macho man is going down. I remember playing this in the arcades a ton, and then getting MT Punch-out one magical Christmas . . .and being slightly disappointed that Little Mac was so small, and there was no announcer saying "body blow, body blow, put em away." 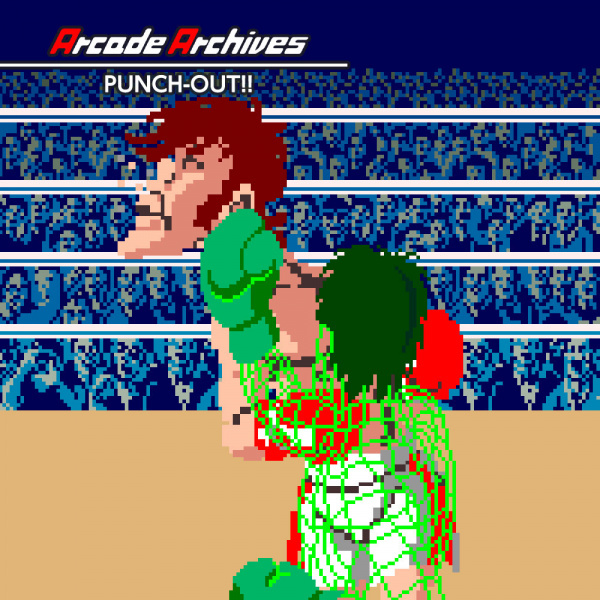 Of course, that disappointment faded quickly, as MT Punch-Out proved to be one of my favorite video games of all time. Absolutely amazing to be able to add the O.G. Punch-Out!! to a home console for $8. @Roam85 Not before Vodka Drunkenski. Because he has an alcohol problem, you see... he can hardly stand. Outstanding game, although the nes version was easier. This price is a steal... I love the fact my Switch has become an Arcade machine on the go! Great review. I really need to pick this up. Just lagging on classics, due to so much new stuff. Fun fact! 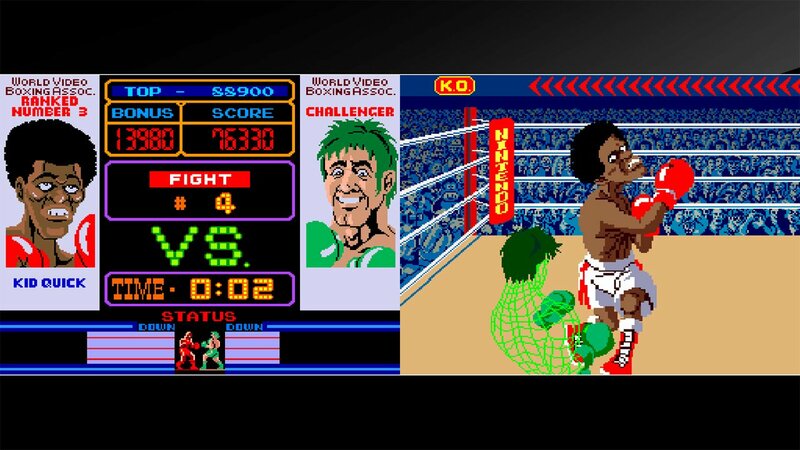 Punch-Out's theme song is actually the Gillette Cavalcade of Sports' theme. They did it's called ARMS. I don't have a vertical monitor, and playing it in the default horizontal takes away from the arcade experience. This gets a pass from me. Grabbed this one knowing it was just okay and something I'd be unlikely to beat. They took their time for the review. On Thursday I couldn't wait longer and purchased it. Good thing it's not broken or anything. I was going to buy it even without review (and the other websites didn't review it either, all I could find was a few bloggers' opinion), I love the NES one. Another true classic arcade game. Tremendous to have it on Switch. Never thought that would happen. Love the artwork featured at the top of this review. The arcade Punch Outs and Doc's Punch Out are the ones I still haven't played. I bet it's just as much fun as the NES and Wii ones. Those graphics look fantastic. I've never heard of Pizza Pasta or Kid Quick before? One day, I'd like to have a Punch Out that lets you fight against every boxer in this franchise. DK included.